I have been diving and taking photographs underwater for a long time and one thing that has been extremely noticeable over the past 20 years has been the impact of plastic pollution on coral reefs. 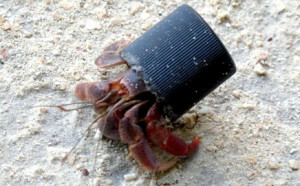 Marine debris washed up on coastlines is clear for everyone to see, but the world beneath the surface is not so obvious. Our very existence on earth is exerting extreme pressure on our oceans. We are over-fishing, polluting and changing the very fabric of the the thing that enables us to exist in the first place. 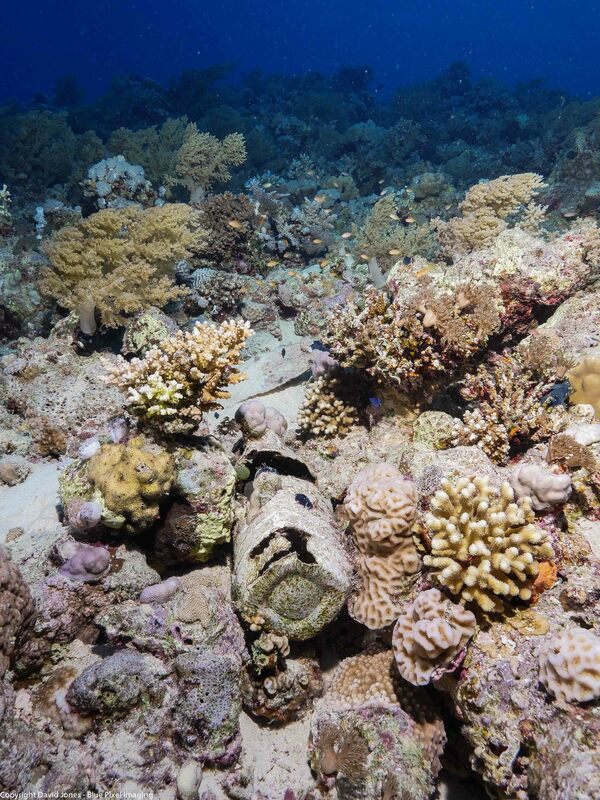 Coral reefs are just one part of the vast ocean ecosystem, but they are essential. 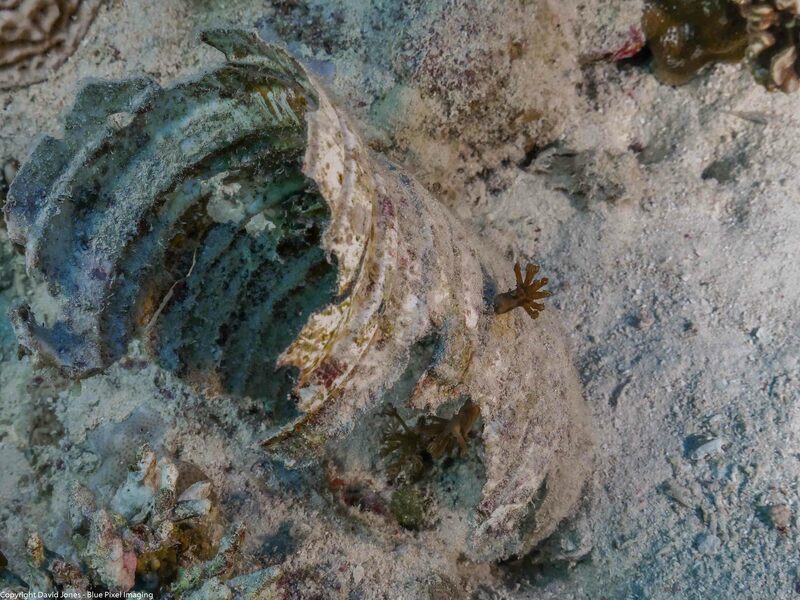 They support more species than any other marine environment, in fact scientist think that there are possibly 1 – 8 million undiscovered species still to be found in reef systems. They also support the economies of thousands of coastal communities and provide coastline protection against the ravages of oceans storms. Half the world’s population live within 60 km of the sea, so we ignore the impact of our activities on coastal regions at our peril. Coral reefs are already under threat from increasing water temperatures, ocean acidification, and various forms of anthropogenic activities and plastic pollution is the latest complication. But what exactly is the impact? During a recent diving trip to the Red Sea it was impossible not to notice how much plastic had become ’embedded’ into the environment. 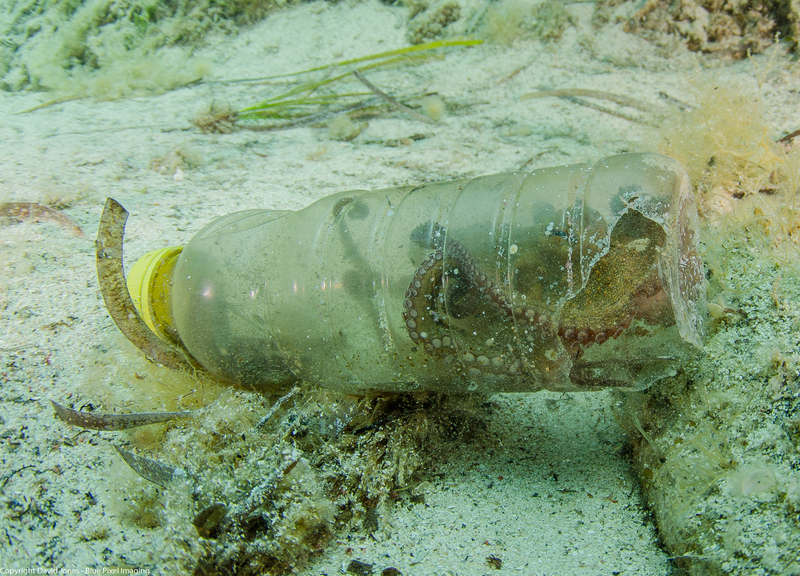 I saw an octopus living in a plastic bottle and molluscs and soft corals attached to plastic cartons. This type of waste/environment integration actually presented me with a bit of a dilemma – do I remove the pollution, or allow the organisms that now called this man made waste product home to continue their existence? 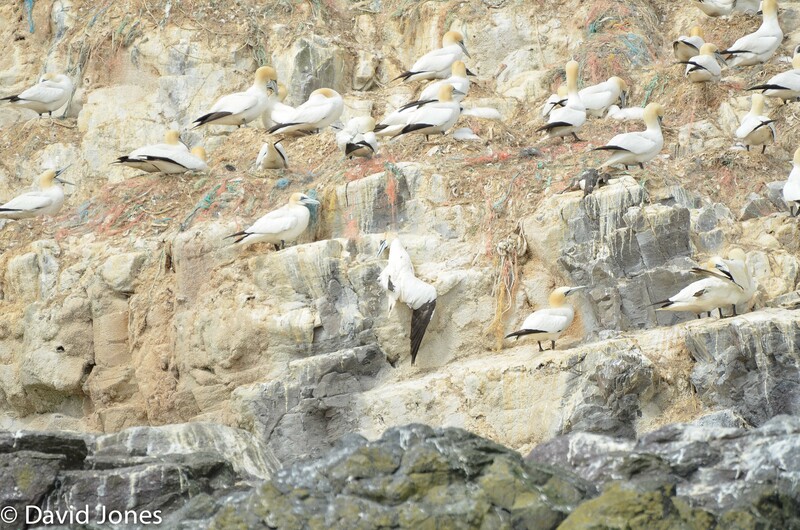 I have no problem removing plastic waste, but this had become their habitat. However, if I leave it these artificial habitats lack permanence. Although plastic is virtually indestructible, as we all know they eventually break down, or more precisely break up, so corals and other marine organisms that inhabit them only have a limited time in their new home. Whilst there is a sadness about seeing animals in unnatural situations, such as the hermit crabs living using our plastic waste for homes, or corals growing on bottles, I don’t believe it is the main issue. Neither is the ingestion of micro plastics by fish and other marine animals, or the contamination of the food chain through the transfer of toxins from plastics to the food that so many people rely on. That is not to dismiss the terrible situation that we are creating for ourselves, but I just want to take it one stage further. What of the coral reefs themselves, these enormous organic structures composed of billions of living entities? Reef-building corals live in a symbiotic partnership with algae that live within the coral polyps, photosynthesising sunlight for energy. This energy provides nourishment for the polyps which in turn provide carbon dioxide for the algae and, of course, somewhere nice to live. However polyps also catch food, zooplankton, using tentacles, which they then ingest. To a hungry coral polyp, microplastics are no different to a tasty morsel of zooplankton. Although there is still much more research to be done this paper already demonstrates that coral polyps can and will ingest plastic particles. If plastic waste continues to get into the oceans at the current rate and microplastics take the place of zooplankton it will inevitably have an impact on the growth of individual coral polyps and could ultimately impair the growth of this essential ecosystem. I don’t believe that the coral reefs of the world can take much more pressure and while temperature change is inevitable, the ridiculous path of plastic waste from consumer to the oceans is not. We need to change our behaviour and improve our waste management processes to a level that prevents plastic getting into the oceans or risk losing the very thing that gives us life.